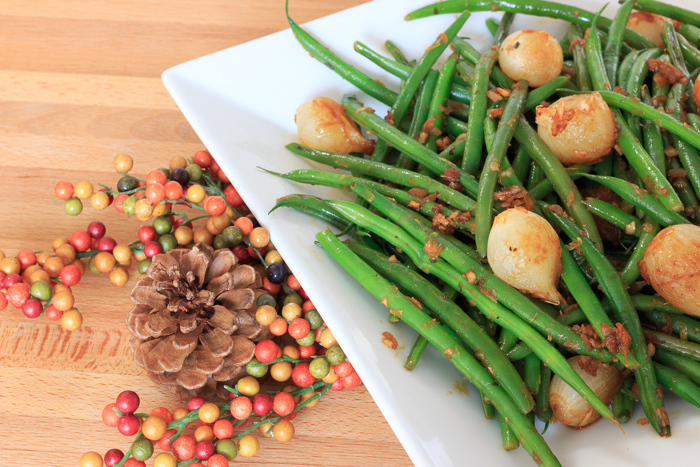 A household staple, French beans are uber versatile and easy to cook with. Turns out, these slender veggies are nutritional heavyweights too! French Beans – The Healthy Ingredient! For the most part, the French bean has been a backstage vegetable – one that is available all year round and can be steamed, barbecued, marinated and pan-fried – all at a moment’s notice. But this understated yet versatile vegetable has several health surprises to offer. Crunchy cooked green beans naturally improve heart health, prevent colds and boost energy by being rich storehouses of antioxidants such as vitamin C, vitamin A, vitamins of the b complex group and iron. (Antioxidants and vitamins help people combat infection on a day-to-day basis). More importantly, French beans and other green beans also contain significant quantities of some lesser known nutrients such as manganese and molybdenum, which play a vital role in enhancing enzyme activity. Some of the powerful antioxidants contained in green beans belong to the carotenoid family. Carotenoids are responsible for the orange of red-orange pigments found in food such as tomatoes and carrots. However, in French beans, the chlorophyll that gives them their bright green color also keeps the red pigments from being visible. Much like other foods rich in carotenoids, French beans also prevent blood fats from getting oxidized. (When LDL or bad cholesterol comes in contact with harmful radicals, it becomes oxidized. Oxidized fat gives rise to inflammation, damages healthy tissue and also deposits as plaque in blood vessels). In addition the vitamin K present in French beans promotes healing and strengthens connective tissue. Since French beans contain significant amount of the vitamin folate, they also improve the health of pregnant women and help prevent fetal birth defects. Recent studies have shown that the silicon in French beans is better absorbed by the body than silicon from other sources. This mineral nutrient is essential for bone health. 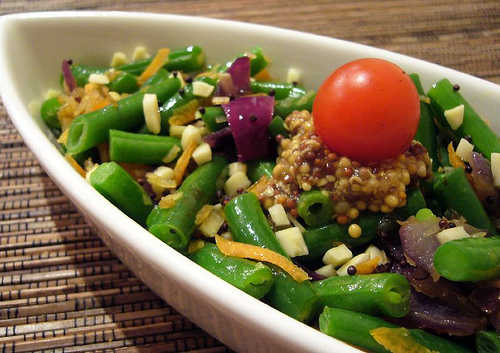 Being high in dietary fiber, green beans also go a long way towards preventing type 2 diabetes. Fiber slows down the absorption of blood glucose, thereby improving the body’s sensitivity to insulin. 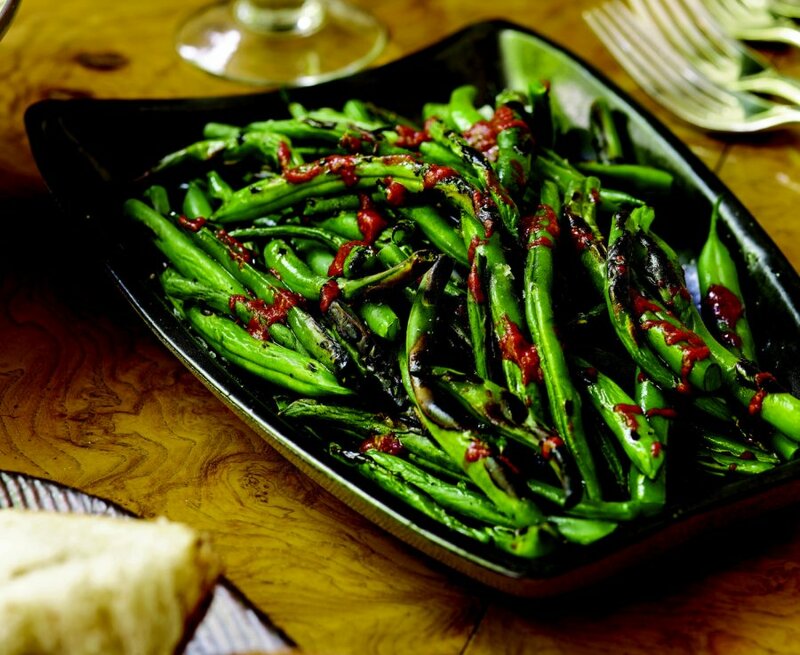 Pick French beans that are lush green, tender, quick to snap and not dehydrated to the touch. Clean them in a solution of 1:10 of vinegar to water before cooking. Clean them before chopping to prevent the wastage of water-soluble nutrients such as vitamin C and those of the b complex group. Store raw beans in a perforated plastic bag in the vegetable compartment of the refrigerator. French beans pair well with other vegetables and are just as easily prepared in a crock pot, Moroccan tagine or a vegetable kadhai. No matter how you eat them, you can be sure you have made a healthy and nutritious choice. Bright Idea: You can steam green beans lightly (for two or three minutes) and store them in the freezer for up to three months – the loss of nutrients will be minimal.